Apple unveiled its new speaker, HomePod at WWDC, showcasing its superior sound as a differentiator from both the Amazon Echo and Google Home. Apple has forayed into the smart speaker world dominated by the popular Amazon Echo and Google Echo with the new HomePod, set to be released in December 2017. Apple’s device differentiates itself by focusing on superior sound quality that is both immersive and high fidelity. Equipped with Siri and connected to Apple Music, HomePod goes beyond competing with just Amazon Echo and Google Home as it focuses primarily on providing high quality audio. HomePod enters into the home audio system market, currently dominated by Sonos and Bose. Apple’s intention to make HomePod a key audio system for the home is evident in its press release introducing the HomePod. 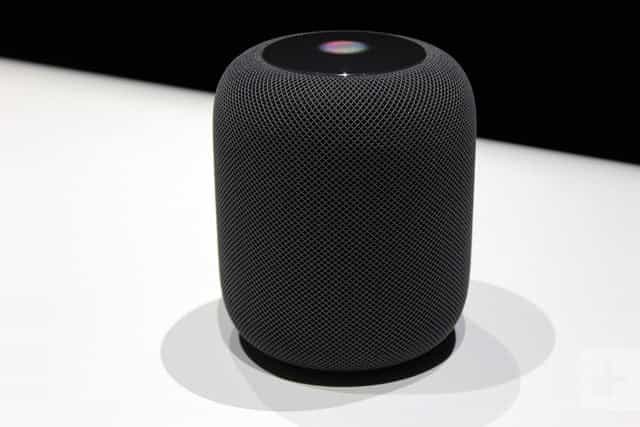 HomePod has a spherical design, resembling a smaller MacPro at 7 inches in height. It is available in black or white and has a mesh design. HomePod focuses on providing great quality with pure high frequency acoustics free of distortion via 7 beam-forming tweeters that have their own individual amplifiers. HomePod also offers directional control through these tweeters so you can decide the range for your audio. 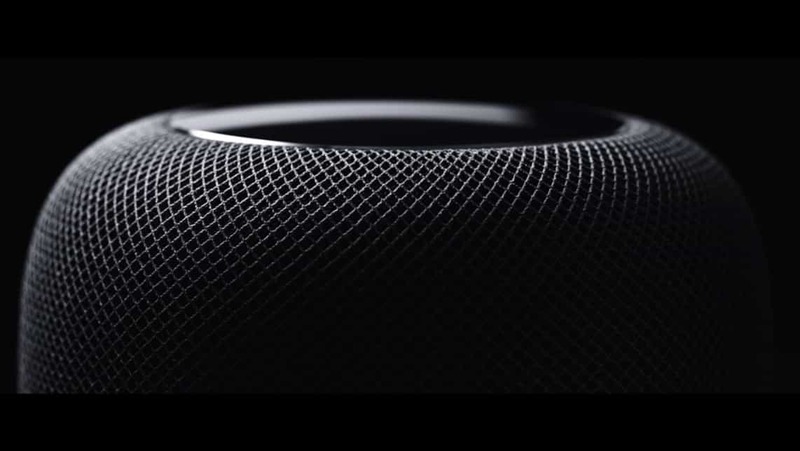 HomePod comes with a 4” upward-facing woofer for a deep bass sound and 6 microphone array. HomePod comes with an A8 chip that powers Siri and room-sensing technology. HomePod is also spatially aware, which means that this powerful device can analyze the acoustics of a room and then adjust the sound based on its location in that room. 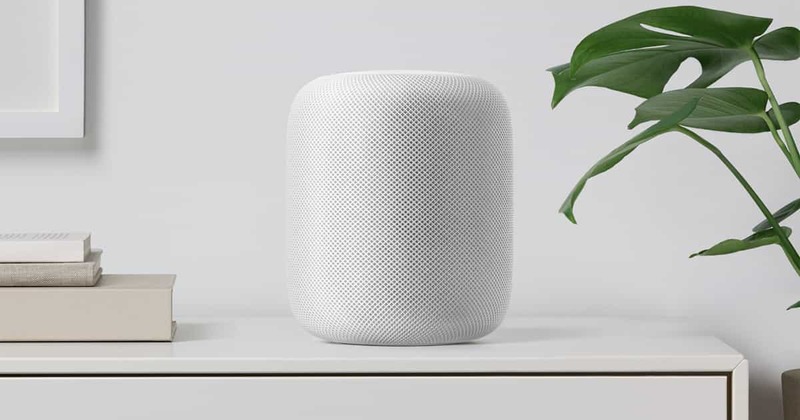 HomePod includes new technology such as AirPlay 2 for multi-speaker support so that several HomePods can communicate with each other wirelessly. Siri is able to answer general knowledge questions as well as HomeKit device control and now News as well in the new iOS 11 update. Like the Amazon Echo, HomePod does not have a screen and is operated by voice activation. You can touch a few things however for some functionality. Tapping the top of the HomePod lets you play, pause or adjust the volume of what you are playing. 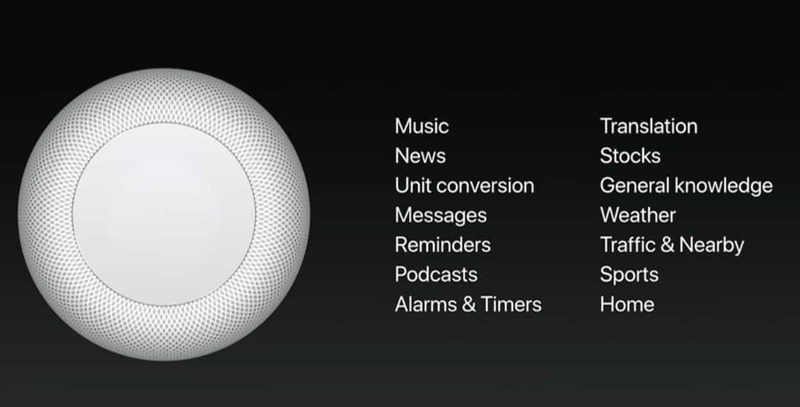 When you talk to the HomePod, it will light up to display an LED waveform just like Siri interacts when you talk. Available in the U.S. in December 2017 (expected), followed by the UK and Australia, and then more countries to follow in 2018. Available in both White and Space Gray finishes.